World Cup fever is here again. The first match will kick off in just less than two weeks. 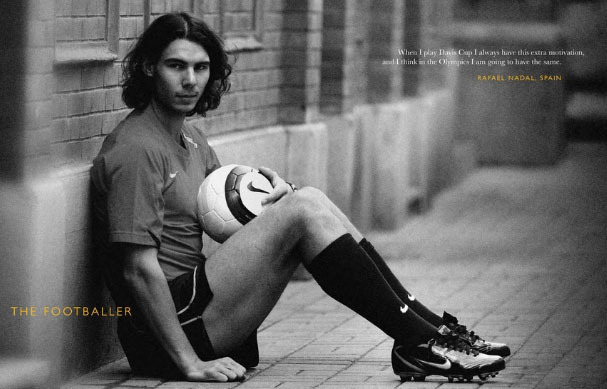 "I love football," Nadal says. "Sure, I'm going to watch the World Cup." Being a Spaniard, Nadal will of course root for his own country. Nadal plans to see as many matches as he can in between matches during the Wimbledon later this month. "I think Spain has an unbelievable team, a complete team: the goalkeeper, the defenders, and the attack is unbelievable. We have a chance to win," Nadal says. "But at the same time, when you play matches ... anything can happen." Speaking of match results, so far Nadal is doing great at the French Open. The King of Clay moved into the quarterfinal yesterday after beating up and coming player Thomaz Bellucci in straight set 6-2, 7-5, 6-4. Does Roger Federer still have the drive to win?